Every now and again there’s a real change of style in the air and it seems that we are going through one at the moment. While putting together our pages I realized style is most likely not dependent on age or cash flow, but it is always nice to know that even the most luxurious purchase can be justified if you love wearing it enough. 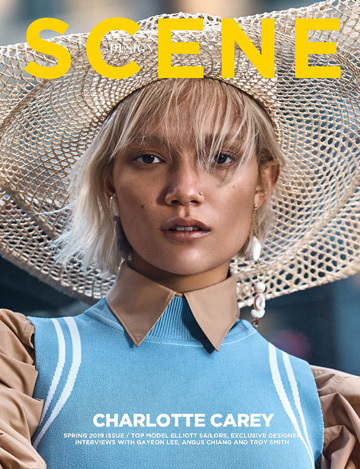 Therefore we are starting this issue of D’SCENE Magazine with renowned duo Hunter & Gatti who photographed supermodel Chanel Iman in fashion’s trend setting pieces selected by our Fashion Director Christopher Maul. It has long been a dream of mine to feature Chanel on the cover of D’SCENE, but such is the international demand for this wonderfully talented model and actress that scheduling a London shoot was fraught with complications. Yet once our schedules aligned and we all found ourselves in New York, the day flowed naturally, eased by her charming and upbeat personality. Chanel’s thoughtful intelligence also shines through in her conversation with Christina Cacouris (page 24), all of which makes her a remarkably compelling contemporary role model. As such, Iman is the perfect woman to be one of our new cover girls for this issue, which is truly inspired by various manifestations of beauty. Hence Niki Taylor‘s cover story celebrates the longevity of a true supermodel, unsurprisingly Niki brought her showstopping elegance to our NYC shoot with photographer Skye Tan. Heading to the East Coast we had a lot of fun reuniting with the always stunning Lydia Hearst and our long time contributor Elias Tahan; taking our beauty pages and one of our covers Lydia shows she is a definition of modern day chic. Elsewhere in the issue we are excited to finally reveal our top models story representing the hardest working male models in the industry, front-lined by our cover boy Daan Van Der Deen. If like me, you find inspirations on the runways of Milan than this menswear story elegantly styled by our Emily Lee and photographed by Igor Cvoro is simply said note worthy. However if London is your scene, you’ll undeniably fall in love with At Play story prepared by Marie Schuller featuring a gang of very promising young models. Finally, while to wrap up our issue our D’SCENE Asia Editor Randolph Tan brought the best of Bali to our pages, I very much hope you take the time to read the interviews featuring photography’s icon Rankin as well as our conversation with two very brave designers Hakaan Yildirim and Libertine’s Johnson Hartig.